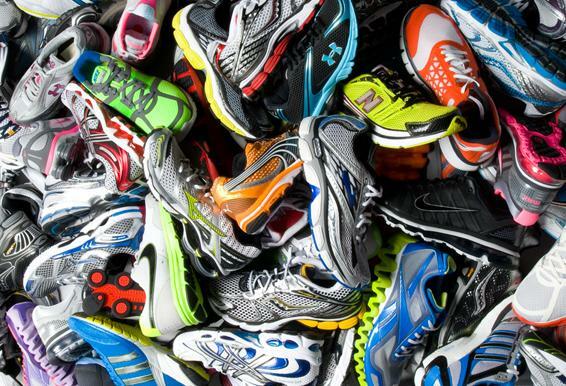 From the ever softest midsole cushioning to the lightest and bounciest energy returns, running shoes have changed dramatically in 2018. And with 2018 in full swing, a new generation of groundbreaking road running shoes have started to emerge, led by the launch of Brooks’ innovative DNA Loft and DNA AMP features. The new shoes – Levitate 2, features Brooks’ innovative DNA AMP, Ghost 11, and Glycerin 16 features the newest technology of Brooks: DNA LOFT, while Transcend 5 still has SUPER DNA but an updated guide rails and Adrenaline GTS 18 has its original BioMoGo DNA. A finely calibrated mix of EVA foam, rubber, and air, DNA LOFT is the new midsole cushioning in our softest running shoe yet. Engineered for unequaled comfort, EVA Foam puts more “ahhhhh” in every step, making this the softest midsole we’ve ever offered. Also an added rubber means you can stop worrying about your cushion holding up and enjoy the same blissful softness whether it’s your first – or 500th – time lacing them up. Extra air in the midsole ensures that DNA LOFT won’t weigh you down. Because cushioning that’s soft as a feather should be as light as one, too. Get lost in your run with the cushion that’ll keep you comfortable, step after step, run after run. Here’s a look at what’s coming up the rest of this year and what we know about Brook’s hottest running shoes. Technology, an advanced support system that provides holistic support from feet to hips. Available in all Runnr Stores, Tobys MOA, Tobys SLP, Olympic Village Glorietta, SM Department stores MOA, North Edsa and Davao. Restaurants Against Hunger is an international initiative of the restaurant industry. The campaign unites chefs, restaurant owners, and foodies all over the world to channel their passion for food into life-saving impact against hunger and child malnutrition. Restaurants Against Hunger is being promoted by Action Against Hunger, a global humanitarian organization that takes action against the causes and effects of malnutrition. They are on the front line in nearly 50 countries, helping to reach more children than ever with lifesaving treatment while developing long-term solutions to stop them from becoming malnourished in the first place. The mechanics of the campaign is simple: Restaurants choose 1 or more special dishes from their menu and for every order of these dishes from October 1 to December 1, 2018, a portion of the profit goes to our projects combating hunger and malnutrition in the Philippines. These dishes are labelled “Dishes That Feed More.” The donation per dish is dependent on the restaurant. All donations raised during the campaign in the Philippines will only be used for projects in the Philippines. So far, participants this year are Alba Restaurante Español, Aracama, Azuthai, Café Mediterranean, Calderon, Chef Laudico OK Café, Chelsea Kitchen, Chotto Matte / Izakaya Sensu, Corner Tree Café, Cyma, Friends & Family / Coconut Club, Green Pastures, Grilla, Ikomai, Ilustrado, Kabila, Museum Café, Providore, Saboten, Sangkap, Simple Lang, Sobremesa, Terraz Bistro & Meetings, Terry’s Bistro, The Old Spaghetti House, The Shrimp Shack, Wild Ginger, and The Bistro Group. We hope to sign up more before the program kicks off on October 1. Diners can be a part of the movement to help provide food to the most disadvantaged children and their families in the country by patronizing the participating restaurants and ordering the featured dish/es which we call “dishes that feed more”. Look for menu items highlighted with a sticker that says “dishes that feed more” or ask your servers about them. Also, you can spread the word and help promote the campaign. Action Against Hunger and the Institut de Relations Internationales et Strategiques (IRIS), an international think tank that focuses on geopolitical and strategic issues, released a study titled “Socio-economy of Chronic Malnutrition in the Philippines: A preliminary key trends analysis by 2030” in 2016 to support strategic action in fighting malnutrition in the Philippines. According to the study, the Philippines ranked 9th among countries with the highest number of stunted children. The campaign started on World Food Day in France in 1998. In the Philippines, Restaurants Against Hunger started in 2016 and a total of 103 restaurants have participated in the fight against hunger. Restaurants Against Hunger has been implemented in Bolivia, Canada, Colombia, Germany, Guatemala, India, Italy, Peru, Spain, United Kingdom, and the USA . For restaurants to join, all they have to do is go to http://www.restaurantsagainsthungerphilippines.org, click “register” and sign up. This program is very easy to implement, it doesn’t entail much cost, and it unites the restaurant staff and customers for a life-saving cause. We will support the restaurants by providing all marketing materials needed for the campaign: Posters, table-tops, “dishes that feed more” stickers for the menu and information notes for staff. The most recent programs the Restaurant Against Hunger made possible are the response to the Marawi conflict where we were able to reach a total of 206,613 individuals. We implemented nutrition screening and distributed emergency food aid and hygiene kits as well as provided access to safe water and sanitation facilities in the provinces of Lanao del Sur and Lanao del Norte. Through their Water, Sanitation and Hygiene projects in the areas of Masbate, North Cotabato and Maguindanao they have provided rural barangays access to clean water, created tap stands and toilets, and conducted hygiene promotion sessions to combat the spread of diseases that will lead to malnutrition. A total of 180 Barangays were declared as Zero Open Defecation Communities, positively affecting 738,566 individuals. To maintain the culture of cleanliness, we trained 730 Barangay Health Workers to continue the work we started. The campaign has also supported our Nutrition and Food Security and Livelihood projects in Zamboanga City for the internally displaced people that were forced to evacuate their homes during the 2013 siege. Malnutrition is prevalent in the areas Action Against Hunger is working in. In North Cotabato, there was a 5-year-old child who was practically skin and bones, he was pale and his hair was not growing. He was suffering from wasting because he was not eating enough food and not having a varied diet. For months he was only eating boiled cassava, banana, and sweet potato. As mentioned above, the Philippines is at a critical point with regards to stunting. The numbers have increased to 33.4% from 30.1% in 2015 and the Philippines ranked 9th among countries with the highest number of stunted children. Stunting is something that we see every day. It is quite common to see children who we thought were only in Elementary only to find out that they’re already in High School. These kids are underdeveloped – not only physically, but cognitively as well. If not treated in the first 1,000 days of a person’s life (from 0 to 2 years old), the effects of stunting is irreversible and will last that person’s whole life. Nutrition during pregnancy and in the first years of a child’s life provides the essential building blocks for brain development, healthy growth, and a strong immune system. A growing body of scientific evidence shows that the foundation of a person’s lifelong health are largely set during this 1,000-day window. Restaurants Against Hunger is co-presented by McCormick Culinary. Sponsors are Foodpanda, Marca Leon, and Mida Food. Supporting the campaign are the LTB Chefs Association Philippines and The Spanish Chamber of Commerce. Collaborators are Acceler8, Digital Out-of-Home Philippines, Nyxsys Philippines, Pitchworks Incorporated, and Summit Outdoor Media. Through the initiative of global humanitarian organization, Action Against Hunger, restaurants have come together to fight child malnutrition. Called “Restaurants Against Hunger”, the campaign runs from October 1 to December 1, 2018. During this period, participating restaurants will be donating a portion of the sale of specially marked dishes on their menu to projects combating child malnutrition in the Philippines. Diners can be a part of the movement to help provide food to the most disadvantaged children and their families in the country by patronizing the participating restaurants and ordering the featured dish/es labelled as “dishes that feed more”. So far, participants this year are Alba Restaurante Español, Aracama, Azuthai, Café Mediterranean, Calderon, Chef Laudico OK Café, Chelsea Kitchen, Chotto Matte / Izakaya Sensu, Corner Tree Café, Cyma, Friends & Family / Coconut Club, Green Pastures, Grilla, Ikomai, Ilustrado, Kabila, Museum Café, Providore, Saboten, Sangkap, Simple Lang, Sobremesa, Terraz Bistro & Meetings, Terry’s Bistro, The Old Spaghetti House, The Shrimp Shack, Wild Ginger, and The Bistro Group. “We hope to sign up more before the program kicks off on October 1,” said Action Against Hunger Fundraising and Resource Development Manager Dale Nelson Divinagracia. Restaurants that wish to join can simply register at http://www.restaurantsagainsthungerphilippines.org. This program is very easy to implement, inexpensive, and unites the restaurant staff and customers for a life-saving cause. This was attested during the launch by Chiqui Mabanta, owner and general manager of Corner Tree Café which has been supporting “Restaurants Against Hunger” since year one. The campaign started on World Food Day in France in 1998 and has been implemented in Bolivia, Canada, Colombia, Germany, Guatemala, India, Italy, Peru, Spain, United Kingdom, and the USA. In the Philippines, “Restaurants Against Hunger” is on its third year has helped make it possible for Action Against Hunger to implement several programs. The most recent was their response to the Marawi conflict where a total of 206,613 individuals benefitted from the nutrition screening and distribution of emergency food aid and hygiene kits. The organization also provided access to safe water and sanitation facilities in the provinces of Lanao del Sur and Lanao del Norte. Through their Water, Sanitation and Hygiene projects in the areas of Masbate, North Cotabato and Maguindanao they have provided rural barangays access to clean water, created tap stands and toilets, and conducted hygiene promotion sessions to fight the spread of diseases that will lead to malnutrition. A total of 180 Barangays were declared as Zero Open Defecation Communities, positively affecting 738,566 individuals. To maintain the culture of cleanliness, 730 Barangay Health Workers were trained to continue the work started. “Restaurants Against Hunger” has also funded nutrition and food security, and livelihood projects in Zamboanga City for the internally displaced people that were forced to evacuate their homes during the 2013 sieBased on the latest survey conducted by the Food and Nutrition Research Institute of the Department of Science and Technology, more than 3.8 million or 33.4% of Filipino children are stunted. This number is up from 30.1% in 2015. Stunting, also called Chronic Malnutrition refers to a child who is too short for his or her age. It is the result of poor nutrition during early childhood. Children suffering from stunting may never attain their full possible height and their brains may never develop to their full cognitive potential. The effects are irreversible and can last a lifetime. These children face learning difficulties in school, get sick more often, and earn less as adults. The same survey also identified 800,000 or 7.1 percent of Filipino children to be suffering from wasting. Wasting, also called Acute Malnutrition refers to a child who is too thin for his or her height. It is the result of rapid weight loss or the failure to gain weight due to poor nutrient intake or disease. Children suffering from wasting have weakened immunity, are vulnerable to long term developmental delays, and face an increased risk of death. “In 2016, Action Against Hunger and the Institut de Relations Internationales et Strategiques (IRIS), an international think tank that focuses on geopolitical and strategic issues, released a study entitled “Socio-economy of Chronic Malnutrition in the Philippines: A preliminary key trends analysis by 2030” to support strategic action in fighting malnutrition in the Philippines. According to the study, the Philippines ranked 9th among countries with the highest number of stunted children,” revealed Action Against Hunger Country Director, Guy Halsey. “It’s imperative that we take steps to stop the upward trajectory of malnutrition in the country. Restaurants Against Hunger is a start and everybody can participate. We can all channel our passion for food into life-saving impact against hunger and child malnutrition,” he added.